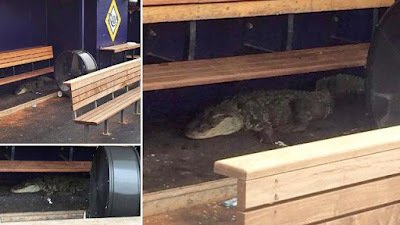 Well, maybe a gator in the visitor's dugout is what the Rays need to import up to Durham for the next few games. The Bulls are going to be in town now for quite a while — 10 straight games. Here’s hoping that they do better than the last 10 games. Looks like newcomer Blake Snell is the real deal. So we will want to try to make the games he’s starting. He only gave up one hit last night. If not for a wild pitch and an error, likely not even the one run would have scored on him. Nick Franklin is showing his talent and his performance is one of the few bright spots from this trip. New guy Grady Sizemore was in the last couple of games. Boog Powell has come down from the celestial heights he was at, but still leads the team in his On Base Percentage of .375. Taylor Motter is back in the lineup and had a decent night in Tuesday’s losing cause. We expect considerable roster turmoil over the next couple of days. We know that catcher Bobby Wilson is headed somewhere. And we have read that Jake Elmore, who played in 25 games before being called up late May, is coming back. Something will have to give to make room for him. Interesting, for stats geeks, look at Boog Powell, with mention of fondly remembered former Bull Joey Gathright. Good article in Grantland about the effect of the pace of game efforts. Also in Grantland a deep look at the company/team behind some of the advanced analytical efforts in baseball. Lastly, some thoughts from the Tampa Bay Times on trading deadline concerns for the Rays. 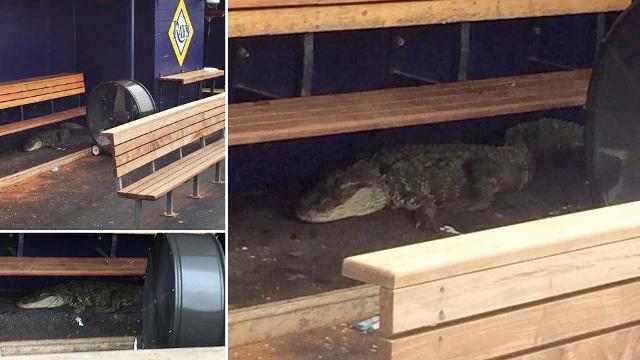 Note that the Rays have already traded off one outfielder. Wilson went to Tampa. Elmore is on his way back. Sizemore is going up Friday according to Tompkin, so I assume that will make our roster the right size. Pretty sure (now) that Wilson went up to fill hole of DeJesus, but maybe Sizemore fits there, too. Assume Acosta will take Wilson's place. Seems like Tampa has to move one more if Sizemore goes up. Lots of moving parts here. Have not been watching all that closely. Ok, so now I'm a bit confused, but from what I've seen today. Jepsen traded, Yates takes his spot. Wilson DFA'd (and claimed), Mahtook takes his spot. Have just started looking around and think I'll stop looking, but make sure I have the radio on by 5:45 in hopes that Kinas will sort it out. Maybe, just maybe some of those pitchers will be coming to the Bulls, but I doubt it.